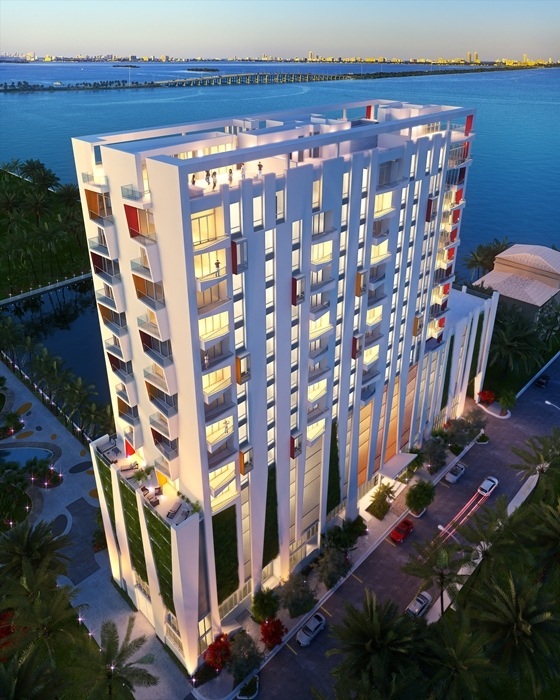 The Crimson is Miami hot, another colorful addition to the waterfront on Biscayne Bay. With ninety 1, 2 and 3 bedroom residential units in the tower, many have water views and all have large terraces or balconies for outdoor entertaining. The Crimson is located in Edgewater, Miami’s hottest new district, with shops, restaurants, cafes, and clubs all nearby. It’s a short drive to I-95, US-1 and to the Julia Tuttle and Venetian Causeways that connect mainland Miami to Miami Beach.